2011 A Year of Resolutions and Turbulence. A Year of Resolutions and turbulence. A year of change, destruction and extremes, of questioning and uprising. The Arab Spring and bloody times. Murder of ignorant dictators. Did we ever see the like..? The Sun and Rupert Murdoch were told to answer for their Code of No Ethics. The collapse of the Euro. The Internet brought us close, yet kept us apart. My wishes for 2012 . That education is not about 'mediocrity', what is average and multiple choice questions - but about individuality, creativity, questioning and higher standards. That the new religion is harmony, morality and freedom of thought. I’m excited about music right now. Coldplay released their Paradise video which is another classic and they are bound to hold yet more stadiums mesmerised with their grand melodies. Emeli Sande/ Emeli released her second single Daddy November 2011 and she supported Coldplay on tour. I saw her gig here for her first EP launch in December 2006 when she sang her own songs and a Nina Simone cover. I saw her again four years later at King Tuts December 2010 and she has had a busy time since then! 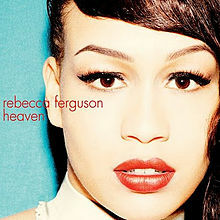 In 2011 she has had The Mobos, her debut single Heaven which reached No 2 in the UK charts in October. Her second single Daddy is due for release in November and her album, Our Version of Events, will be released early 2012. 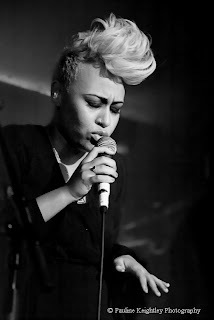 Emeli spoke of how wonderful the past year has been for her and of her present number one song with Professor Green titled 'Read all about It. Her music is rocky and upbeat. It is also full of pathos and on the edge of our joys and sorrows. As Emily says herself.. 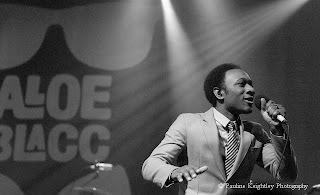 This ain't no 'soft soul easy listening' but soul with a questioning edge. I had a chat with her backstage at King Tuts December 2010 when she said her music was 'soul with a rocky edge' and influenced by the likes of Portishead, Massive Attack and Joni Mitchell. I am now excited for her album release and I expect her album to be a smash success! 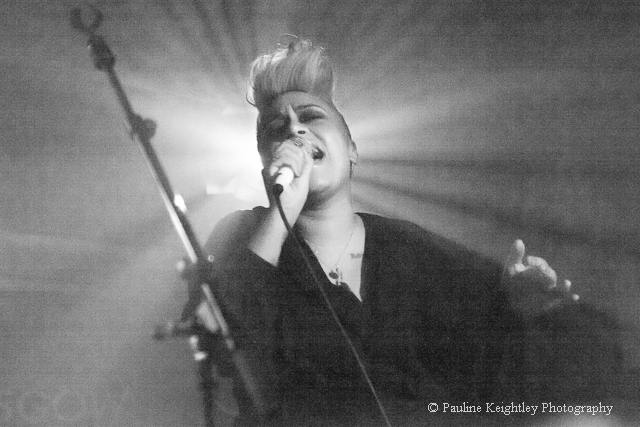 Emeli drew attention for her big soul voice when only 16. She attended Glasgow medical school and after obtaining a medical degree in Neuroscience, she decided to focus on her music. I wish her well for her album release. It is clear she doesn’t do things by half measures! 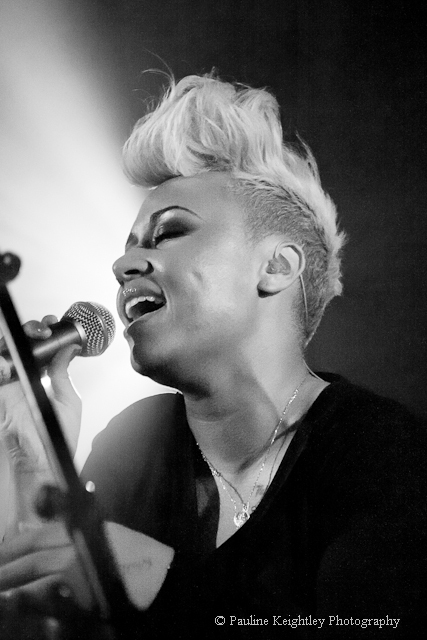 Emeli has won the Brits Critic choice award for 2012. Aloe Blacc - Aloe Blacc - King of the Soul singers. He captured the main stage at Glastonbury 2011. 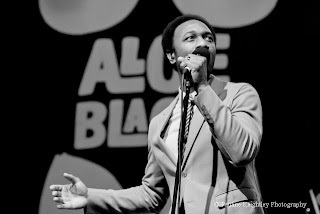 Check ' I Need A Dollar and Billie Jean' ( Highsnobiety TV: An Evening with Aloe Blacc at MADE - Berlin creative space MADE recently played host to singer songwriter Aloe Blacc, violinist composer Mihalj "Miki" Kekenj & painter Jaybo. Rebecca Ferguson Reviews - Telegraph - After 12 years, reality TV has finally turned out someone who not only has the hallmarks of a real star, but is also an artist in her own right. "Syco have been really brilliant – as soon as I put my foot down they back off completely. I just wanted songs I'd written on the album. At first I was going into sessions with writers who'd pretty much got all of the songs done already. But I told management they needed to let me write it because otherwise no-one's going to think I'm a credible artist. Then they let me just go into sessions on my own – I couldn't believe it. GIGS – I’ve been very fortunate to see two music legends live who are my biggest inspirations – Paul Simon and Bob Dylan. Both gigs were awesome. There is good interest in Bob Dylan oddly! this blog has had more hits than any other! I have also seen exciting new artists this year - Emeli Sande, James Blake, girl band Warpaint and Canadians The Low Anthem. 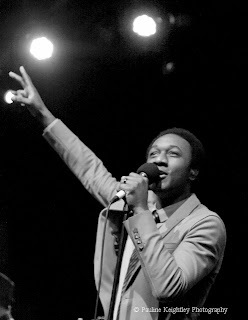 Musicfootnotes Blog - This has been my main focus the past year, and combines my writing and photography. 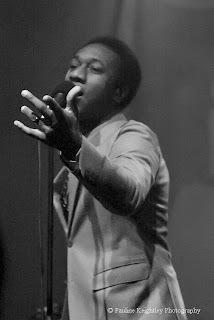 (Also Songbook, Poetrynotes Blog). Aloe Black stole our hearts and showed why he is the King of Soul. 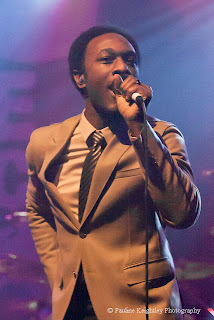 He was supported by a DJ set which meant the dance beats were kept up with no pause before Blacc’s entrance onstage. Blacc caused a stir at Glastonbury 2011 with his performance there on one of the main pages. 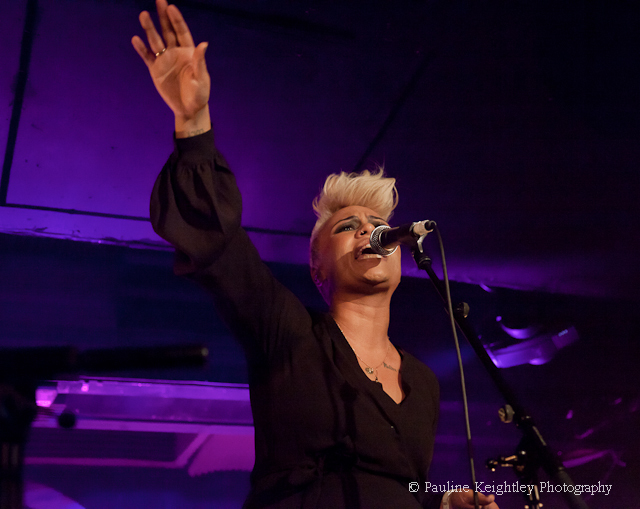 I saw Emeli Sande gig at the Oran Mor Glasgow for her first EP launch in December 2006. I saw her again four years later at King Tuts in 2010. She has had a busy time since then! In 2011 she has had The Mobos and her debut single Heaven reached No 2 in the UK charts. Her album, Our Version of Events, will be released early in 2012. Emeli spoke of how wonderful the past year has been for her and of her present number one song with Professor Green titled 'Read all about It. On a different note - Both Olly Murs and Rebecca Fergusson’s albums have had good reviews in the Sunday Times, even though both are X Factor graduates and Runners-up! I went to listen to Rebecca's album and it is really rather good and authentic. She was a favourite of mine in the show in 2010. For the winners of these 'reality' shows the label fixate on the 'demographics' that slot people into a 'Type' and the importance of targeting who their music will supposedly appeal to . By contrast the 'Runners-up' have less pressures on them from the label and from the controlling voice of Simon Cowell. It is all too easy to slag Reality tv off and it does have many flaws, while many bands and artists are 'put together' behind the closed doors of the industry and this 'developing' artists has gone on for decades, ever since the recording industry started. I prefer some fresh raw talent to the 'over-polished formula' of the Guildford school graduates. The mantra should be about hard work and effort. The X Factor is another Promotional Tool for the Music Business. Rebecca Ferguson Review - Telegraph,"After 12 years, reality TV has finally turned out someone who not only has the hallmarks of a real star, but is also an artist in her own right." Quote Rebecca, "Syco have been really brilliant – as soon as I put my foot down they back off completely. I just wanted songs I'd written on the album. At first I was going into sessions with writers who'd pretty much got all of the songs done already. But I told management they needed to let me write it because otherwise no-one's going to think I'm a credible artist. Then they let me just go into sessions on my own – I couldn't believe it. What does scares me with music today is the ‘big American Media Conglomerates’ such as Warners and the damage they inflict on real music. Those XFM American radio Playlists and their cheap mindless sounds – all about gimmicks, dancers and pyrotechnics….